Our favorite virtual homeboys are back again, this time with the physical release of their latest album: The Fall. The Gorillaz released the album last December as a free DL for fans in the Sub-Division Fan Club. Now that the physical copy is out, anybody who's anyone should go to their local record store and buy the hard copy. The album was written and recorded during the band's North American stint of the Escape to Plastic Beach World Tour in "hotel rooms across America." How does a band of the Gorillaz magnitude record a band WHILE TOURING and IN HOTEL ROOMS? Simple. First, Damon Albarn can do anything he wants. Second, wait for it- He used an iPad. "I hope I'll be making the first record on an iPad, I fell in love with my iPad as soon as I got it, so I've made a completely different kind of record." I wont be the first to say that he accomplished just that, and once again has brought us something revolutionary. This is a little taste of how the Gorillaz created their album, brought to you by 2D, the Gorillaz main man. It makes me extremely jealous of anyone who currently has an iPad, and if you dig mixing and have one- here's the link for the Gorillaz iELECTRIBE app. The album kicks off with the track "Phoner to Arizona" which is an amazing track in itself, and I just can't help but think about how this album was created on an iPad. Which is also a testament to how lame the Kindle is, but that's besides the point. 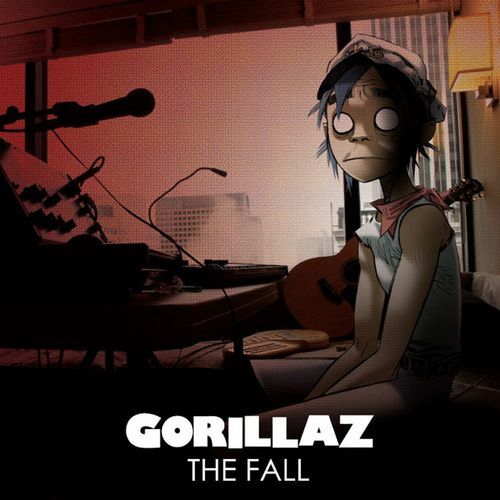 The Fall does not fail to deliver, and it only lacks in vocals, but makes up for that with the usual killer beats, funky tunes and ahead of the times style the Gorillaz have become so well known for. It's revolutionary, it's The Fall, It's Gorillaz.